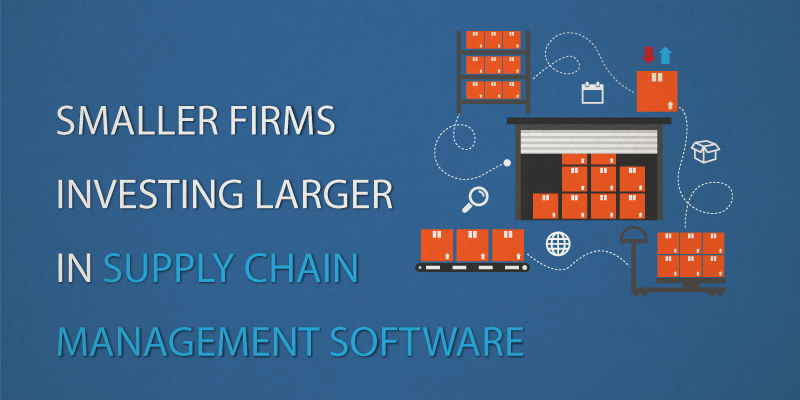 Smaller Firms Investing Larger in Supply Chain Management Software | Morai Logistics Inc.
Good Supply Chain Management (SCM) is a critical part of any firm. It boosts customer service by ensuring that the right product assortment and quantity are delivered in a timely fashion, and it makes those same products available in the location that customers expect. Good SCM also improves the bottom line by managing fixed costs and improving cash flow through smoother deliveries. It is no surprise then that “SCM software”, which include: warehouse management systems (WMS), transportation management systems (TMS), procurement, strategic sourcing, supplier relationship management (SRM), contract lifecycle management, demand planning and supply planning, is such a popular topic of study for businesses large and small. Software Advice, a company that connects supply chain management system software buyers with vendors, recently published a report that analyzed 200 prospective supply chain management (SCM) software buyers. Small businesses (those with annual revenue of $50 million or less) are willing to spend a rather hefty amount—$30,000, on average—for new SCM software. Midsize and large businesses (those with annual revenue above $50 million) are willing to spend an average of $171,000 for new SCM software. Twenty-seven percent of larger businesses cite the need for stronger integration as a reason for seeking new software, compared to just 16 percent of small businesses. Only 6 percent of small businesses are currently using commercial supply chain management software, compared to 21 percent of midsize and large businesses. Is this the Right Time for Your Company? The last key finding isn’t all that surprising according to Forrest Burnson, a market research associate at Software Advice who gave an interview regarding his research. Many of the businesses we speak to are growing and expanding their operations, and are, therefore, investing in these types of solutions for the first time. On top of that, many smaller businesses may be unaware of the solutions that are out there, so they’re just in the preliminary phase of their research. Burnson also points out later in the interview that although there are several cases of small businesses being successful without SCM software, they will eventually need it as their business grows and expands if they wish to not be a victim of their own success. [Burnson responding to a question about small businesses meeting their SCM needs without the appropriate software] They’re generally using some combination office productivity software (e.g., Excel), a legacy database system and/or basic accounting software to conduct their day-to-day operations. Although SCM software can help improve efficiency in a business through the improvement of data flow integration between their different business processes, and streamlining compliance, the big reason that small businesses should look into SCM software is that the technology is ready for it. “As with other things in technology, SCM has seen big advantages thanks to social, mobile, cloud and analytics,” said Boris Kontsevoi, president and founder of Intetics, a software development company quoted in the conclusion of the study.